In this year’s election campaign, Mexican-Americans have been demonized while Latinos in Florida are being courted. From Donald Trump’s recent visit to Mexico to Hillary Clinton’s platform on immigration reform, it’s clear that both candidates realize the importance of the Latino vote. 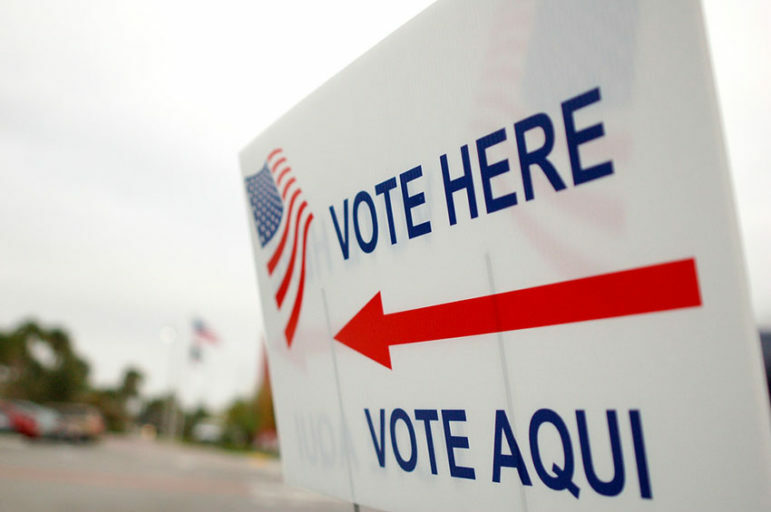 But, the question remains: How much will the Latino vote really matter? In 2016, a record 27.3 million Latinos will be eligible to vote. Of those, 44 percent are millennials—a higher share than for any other ethnic group. These votes could, in theory, be game-changing in this election. And yet, there’s reason to worry that Latinos won’t come out to vote on November 8th, given their historically low turnout. In 2012, a record 11.2 million Latinos voted, but that only represented 48 percent of eligible voters. This is disappointing, especially compared to much higher turnouts among Blacks (66.6 percent) and Whites (64.1 percent). With so many crucial issues at stake, from immigration reform to health care to climate change, the next U.S. president will have an enormous impact on Latino lives throughout this country and Latin America. To create a future that’s equitable for their families and communities, Latinos need to engage in the democratic process and voice their opinions and needs. There are some encouraging signs. Latinos, fired up by the offensive rhetoric of some of the campaigning, have been registering to vote in record numbers. But will these voters make it to the polls? There are various reasons Latinos haven’t come out to vote in the past, including language barriers, delayed citizenship applications, lack of knowledge of the political process, and apathy, often driven by a sense that candidates don’t understand or care about the issues that affect Latinos. Essentially, part of the problem is that political parties don’t contact Latino voters because they haven’t voted in the past, and because no one asks them to vote, Latinos don’t. This cycle makes it even more crucial that this fall, Latinos come together to ensure they, their friends, and their communities are turning up, speaking up, and voting. And, in this ever-more-digital world, and with so many millennial Latinos eligible to vote, it means that the nonprofits working to get out the vote need to use innovative strategies to engage voters in ways we’ve never done before. We’ll also be blogging, tweeting, Facebook-ing, and Insta-posting about Latino voting—why it’s important, how to do it, and how to help others register and get to the polls. In this effort, we’re pleased to partner with some amazing national organizations that are getting out the Latino vote this fall, including Hispanic Federation, Latino Victory Project, LCLAA, Mi Familia Vota, NCLR, Nonprofit Vote, Unidos, and Voto Latino. Many of these partners are doing the good, old-fashioned work of hitting the streets and airwaves to get Latinos excited to vote. But they’ve gone modern and digital, too. Voto Latino’s VoterPal app automatically fills out a voter registration form when the user snaps a photo of a driver’s license. Mi Familia Vota is drumming up excitement with weekly #WeAreReady videos highlighting Latinos who can’t wait to vote. And Unidos’ app gives millennials access to unique emojis and motivating factoids about voter participation. We’re excited by these innovative efforts. We also know there’s still work to be done. Together, Latinos have a powerful voice. This November, let’s make sure we use it.